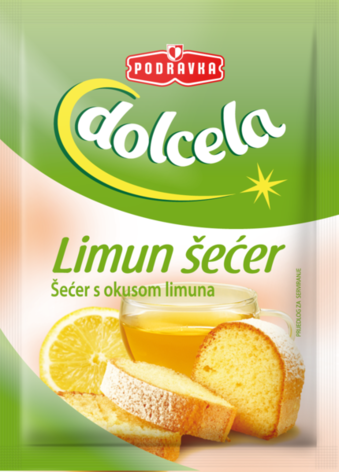 Lemon sugar is a practical kitchen aid in preparation of cakes and desserts, providing them with a pleasant, unobtrusive, always enticing and recognizable taste and aroma of lemon. It can be used as a substitiute for lemon juice or lemon rind, giving a certain freshness to the prepared dessert. With lemon sugar at your hand, cooking will be anything but a sour experience! Usage: For enriching the flavour of pastries, stuffings, beverages, fruit salads, cake creams and desserts.